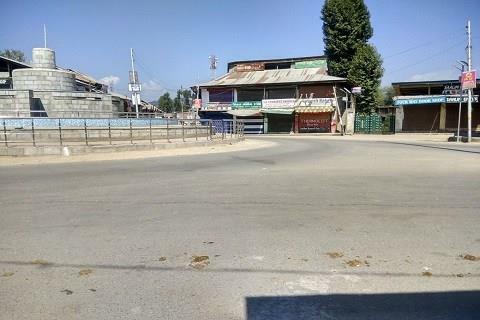 Srinagar, Sep 14: A complete shutdown is being observed for the fourth consecutive day in Handwara town, Langate and its adjacent areas in north Kashmir’s Kupwara district, on Friday against the militant killings. Reports said all shops and businesses establishments remained closed. However, the private traffic was plying on the roads in Handwara and Langate, while as public transport was off the roads. Two militants belonging to Lashkar-e-Toiba identified as Liyaqat Ahmad Lone of Sopore, and Furqan Rashid Lone of Shartpora , Langate, were killed in a gunfight at Galoora area of Handwara on Tuesday.